175:0.1 SHORTLY AFTER TWO o’clock on this Tuesday afternoon, Jesus, accompanied by eleven apostles, Joseph of Arimathea, the thirty Greeks, and certain other disciples, arrived at the temple and began the delivery of his last address in the courts of the sacred edifice. This discourse was intended to be his last appeal to the Jewish people and the final indictment of his vehement enemies and would-be destroyers — the scribes, Pharisees, Sadducees, and the chief rulers of Israel. Throughout the forenoon the various groups had had an opportunity to question Jesus; this afternoon no one asked him a question. 175:0.2 As the Master began to speak, the temple court was quiet and orderly. The money-changers and the merchandisers had not dared again to enter the temple since Jesus and the aroused multitude had driven them out the previous day. Before beginning the discourse, Jesus tenderly looked down upon this audience which was so soon to hear his farewell public address of mercy to mankind coupled with his last denunciation of the false teachers and the bigoted rulers of the Jews. 175:1.1 “This long time have I been with you, going up and down in the land proclaiming the Father’s love for the children of men, and many have seen the light and, by faith, have entered into the kingdom of heaven. In connection with this teaching and preaching the Father has done many wonderful works, even to the resurrection of the dead. Many sick and afflicted have been made whole because they believed; but all of this proclamation of truth and healing of disease has not opened the eyes of those who refuse to see light, those who are determined to reject this gospel of the kingdom. 175:1.2 “In every manner consistent with doing my Father’s will, I and my apostles have done our utmost to live in peace with our brethren, to conform with the reasonable requirements of the laws of Moses and the traditions of Israel. We have persistently sought peace, but the leaders of Israel will not have it. By rejecting the truth of God and the light of heaven, they are aligning themselves on the side of error and darkness. There cannot be peace between light and darkness, between life and death, between truth and error. 175:1.3 “Many of you have dared to believe my teachings and have already entered into the joy and liberty of the consciousness of sonship with God. And you will bear me witness that I have offered this same sonship with God to all the Jewish nation, even to these very men who now seek my destruction. And even now would my Father receive these blinded teachers and these hypocritical leaders if they would only turn to him and accept his mercy. Even now it is not too late for this people to receive the word of heaven and to welcome the Son of Man. 175:1.4 “My Father has long dealt in mercy with this people. Generation after generation have we sent our prophets to teach and warn them, and generation after generation have they killed these heaven-sent teachers. And now do your willful high priests and stubborn rulers go right on doing this same thing. As Herod brought about the death of John, you likewise now make ready to destroy the Son of Man. 175:1.5 “As long as there is a chance that the Jews will turn to my Father and seek salvation, the God of Abraham, Isaac, and Jacob will keep his hands of mercy outstretched toward you; but when you have once filled up your cup of impenitence, and when once you have finally rejected my Father’s mercy, this nation will be left to its own counsels, and it shall speedily come to an inglorious end. This people was called to become the light of the world, to show forth the spiritual glory of a God-knowing race, but you have so far departed from the fulfillment of your divine privileges that your leaders are about to commit the supreme folly of all the ages in that they are on the verge of finally rejecting the gift of God to all men and for all ages — the revelation of the love of the Father in heaven for all his creatures on earth. 175:1.6 “And when you do once reject this revelation of God to man, the kingdom of heaven shall be given to other peoples, to those who will receive it with joy and gladness. In the name of the Father who sent me, I solemnly warn you that you are about to lose your position in the world as the standard-bearers of eternal truth and the custodians of the divine law. I am just now offering you your last chance to come forward and repent, to signify your intention to seek God with all your hearts and to enter, like little children and by sincere faith, into the security and salvation of the kingdom of heaven. 175:1.7 “My Father has long worked for your salvation, and I came down to live among you and personally show you the way. Many of both the Jews and the Samaritans, and even the gentiles, have believed the gospel of the kingdom, but those who should be first to come forward and accept the light of heaven have steadfastly refused to believe the revelation of the truth of God — God revealed in man and man uplifted to God. 175:1.8 “This afternoon my apostles stand here before you in silence, but you shall soon hear their voices ringing out with the call to salvation and with the urge to unite with the heavenly kingdom as the sons of the living God. And now I call to witness these, my disciples and believers in the gospel of the kingdom, as well as the unseen messengers by their sides, that I have once more offered Israel and her rulers deliverance and salvation. But you all behold how the Father’s mercy is slighted and how the messengers of truth are rejected. 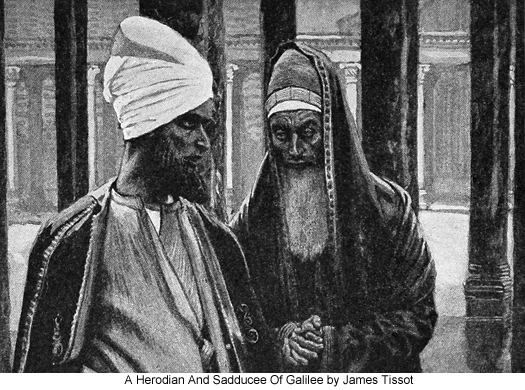 Nevertheless, I admonish you that these scribes and Pharisees still sit in Moses’ seat, and therefore, until the Most Highs who rule in the kingdoms of men shall finally overthrow this nation and destroy the place of these rulers, I bid you co-operate with these elders in Israel. You are not required to unite with them in their plans to destroy the Son of Man, but in everything related to the peace of Israel you are to be subject to them. In all these matters do whatsoever they bid you and observe the essentials of the law but do not pattern after their evil works. Remember, this is the sin of these rulers: They say that which is good, but they do it not. You well know how these leaders bind heavy burdens on your shoulders, burdens grievous to bear, and that they will not lift as much as one finger to help you bear these weighty burdens. They have oppressed you with ceremonies and enslaved you by traditions. 175:1.9 “Furthermore, these self-centered rulers delight in doing their good works so that they will be seen by men. They make broad their phylacteries and enlarge the borders of their official robes. They crave the chief places at the feasts and demand the chief seats in the synagogues. They covet laudatory salutations in the market places and desire to be called rabbi by all men. And even while they seek all this honor from men, they secretly lay hold of widows’ houses and take profit from the services of the sacred temple. For a pretense these hypocrites make long prayers in public and give alms to attract the notice of their fellows. 175:1.10 “While you should honor your rulers and reverence your teachers, you should call no man Father in the spiritual sense, for there is one who is your Father, even God. Neither should you seek to lord it over your brethren in the kingdom. Remember, I have taught you that he who would be greatest among you should become the server of all. If you presume to exalt yourselves before God, you will certainly be humbled; but whoso truly humbles himself will surely be exalted. Seek in your daily lives, not self-glorification, but the glory of God. Intelligently subordinate your own wills to the will of the Father in heaven. 175:1.11 “Mistake not my words. I bear no malice toward these chief priests and rulers who even now seek my destruction; I have no ill will for these scribes and Pharisees who reject my teachings. I know that many of you believe in secret, and I know you will openly profess your allegiance to the kingdom when my hour comes. But how will your rabbis justify themselves since they profess to talk with God and then presume to reject and destroy him who comes to reveal the Father to the worlds? 175:1.12 “Woe upon you, scribes and Pharisees, hypocrites! You would shut the doors of the kingdom of heaven against sincere men because they happen to be unlearned in the ways of your teaching. You refuse to enter the kingdom and at the same time do everything within your power to prevent all others from entering. You stand with your backs to the doors of salvation and fight with all who would enter therein. 175:1.13 “Woe upon you, scribes and Pharisees, hypocrites that you are! for you do indeed encompass land and sea to make one proselyte, and when you have succeeded, you are not content until you have made him twofold worse than he was as a child of the heathen. 175:1.14 “Woe upon you, chief priests and rulers who lay hold of the property of the poor and demand heavy dues of those who would serve God as they think Moses ordained! You who refuse to show mercy, can you hope for mercy in the worlds to come? 175:1.15 “Woe upon you, false teachers, blind guides! What can be expected of a nation when the blind lead the blind? They both shall stumble into the pit of destruction. 175:1.16 “Woe upon you who dissimulate when you take an oath! You are tricksters since you teach that a man may swear by the temple and break his oath, but that whoso swears by the gold in the temple must remain bound. You are all fools and blind. You are not even consistent in your dishonesty, for which is the greater, the gold or the temple which has supposedly sanctified the gold? You also teach that, if a man swears by the altar, it is nothing; but that, if one swears by the gift that is upon the altar, then shall he be held as a debtor. Again are you blind to the truth, for which is the greater, the gift or the altar which sanctifies the gift? How can you justify such hypocrisy and dishonesty in the sight of the God of heaven? 175:1.17 “Woe upon you, scribes and Pharisees and all other hypocrites who make sure that they tithe mint, anise, and cumin and at the same time disregard the weightier matters of the law — faith, mercy, and judgment! Within reason, the one you ought to have done but not to have left the other undone. You are truly blind guides and dumb teachers; you strain out the gnat and swallow the camel. 175:1.18 “Woe upon you, scribes, Pharisees, and hypocrites! for you are scrupulous to cleanse the outside of the cup and the platter, but within there remains the filth of extortion, excesses, and deception. You are spiritually blind. Do you not recognize how much better it would be first to cleanse the inside of the cup, and then that which spills over would of itself cleanse the outside? You wicked reprobates! you make the outward performances of your religion to conform with the letter of your interpretation of Moses’ law while your souls are steeped in iniquity and filled with murder. 175:1.19 “Woe upon all of you who reject truth and spurn mercy! Many of you are like whited sepulchres, which outwardly appear beautiful but within are full of dead men’s bones and all sorts of uncleanness. Even so do you who knowingly reject the counsel of God appear outwardly to men as holy and righteous, but inwardly your hearts are filled with hypocrisy and iniquity. 175:1.21 “Woe upon you, children of evil! John did truly call you the offspring of vipers, and I ask how can you escape the judgment that John pronounced upon you? 175:1.22 “But even now I offer you in my Father’s name mercy and forgiveness; even now I proffer the loving hand of eternal fellowship. My Father has sent you the wise men and the prophets; some you have persecuted and others you have killed. Then appeared John proclaiming the coming of the Son of Man, and him you destroyed after many had believed his teaching. And now you make ready to shed more innocent blood. Do you not comprehend that a terrible day of reckoning will come when the Judge of all the earth shall require of this people an accounting for the way they have rejected, persecuted, and destroyed these messengers of heaven? Do you not understand that you must account for all of this righteous blood, from the first prophet killed down to the times of Zechariah, who was slain between the sanctuary and the altar? And if you go on in your evil ways, this accounting may be required of this very generation. 175:1.23 “O Jerusalem and the children of Abraham, you who have stoned the prophets and killed the teachers that were sent to you, even now would I gather your children together as a hen gathers her chickens under her wings, but you will not! 175:1.25 And then the Master beckoned his followers to depart from the temple. 175:3.1 At eight o’clock on this Tuesday evening the fateful meeting of the Sanhedrin was called to order. On many previous occasions had this supreme court of the Jewish nation informally decreed the death of Jesus. Many times had this august ruling body determined to put a stop to his work, but never before had they resolved to place him under arrest and to bring about his death at any and all costs. It was just before midnight on this Tuesday, April 4, A.D. 30, that the Sanhedrin, as then constituted, officially and unanimously voted to impose the death sentence upon both Jesus and Lazarus. 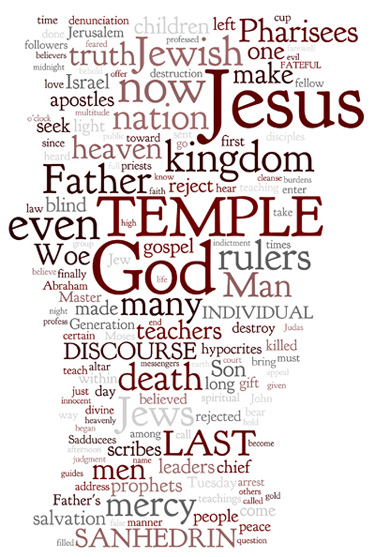 This was the answer to the Master’s last appeal to the rulers of the Jews which he had made in the temple only a few hours before, and it represented their reaction of bitter resentment toward Jesus’ last and vigorous indictment of these same chief priests and impenitent Sadducees and Pharisees. The passing of death sentence (even before his trial) upon the Son of God was the Sanhedrin’s reply to the last offer of heavenly mercy ever to be extended to the Jewish nation, as such. 175:3.2 From this time on the Jews were left to finish their brief and short lease of national life wholly in accordance with their purely human status among the nations of Urantia. Israel had repudiated the Son of the God who made a covenant with Abraham, and the plan to make the children of Abraham the light-bearers of truth to the world had been shattered. The divine covenant had been abrogated, and the end of the Hebrews nation drew on apace. 175:4.1 At the conclusion of Jesus’ last discourse in the temple, the apostles once more were left in confusion and consternation. Before the Master began his terrible denunciation of the Jewish rulers, Judas had returned to the temple, so that all twelve heard this latter half of Jesus’ last discourse in the temple. It is unfortunate that Judas Iscariot could not have heard the first and mercy-proffering half of this farewell address. 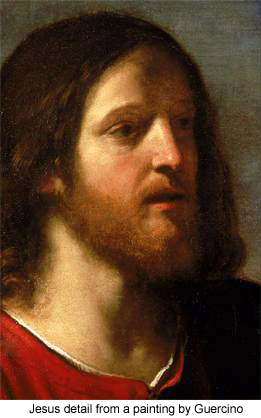 He did not hear this last offer of mercy to the Jewish rulers because he was still in conference with a certain group of Sadducean relatives and friends with whom he had lunched, and with whom he was conferring as to the most fitting manner of dissociating himself from Jesus and his fellow apostles. It was while listening to the Master’s final indictment of the Jewish leaders and rulers that Judas finally and fully made up his mind to forsake the gospel movement and wash his hands of the whole enterprise. Nevertheless, he left the temple in company with the twelve, went with them to Mount Olivet, where, with his fellow apostles, he listened to that fateful discourse on the destruction of Jerusalem and the end of the Jewish nation, and remained with them that Tuesday night at the new camp near Gethsemane. 175:4.13 The Sanhedrin, having formally decreed the death of Jesus and having issued orders for his arrest, adjourned on this Tuesday near midnight, after appointing to meet at ten o’clock the next morning at the home of Caiaphas the high priest for the purpose of formulating the charges on which Jesus should be brought to trial.